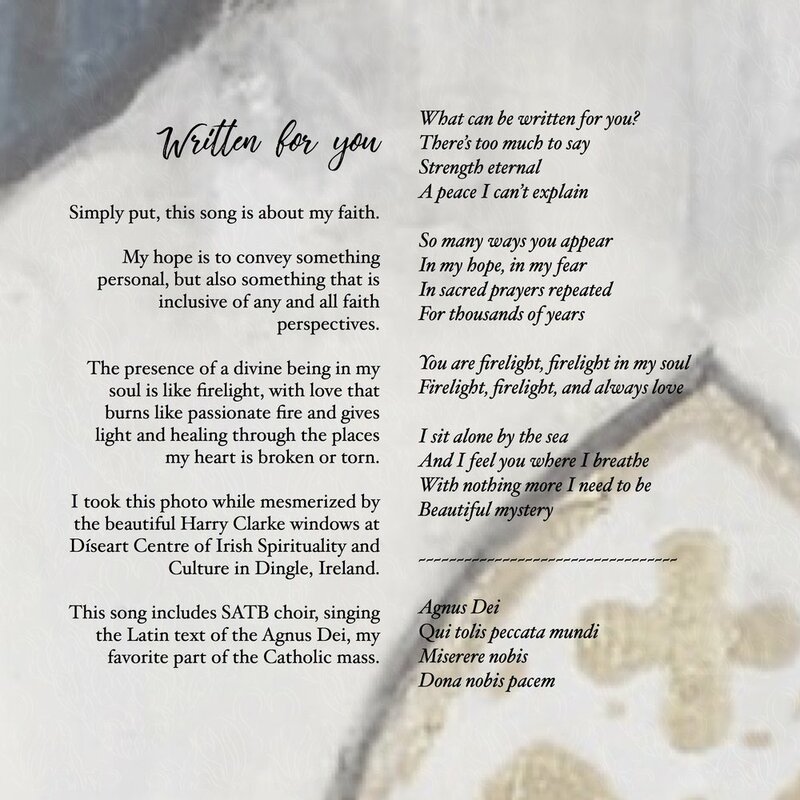 In Written for You, Naomi veers in a slightly different direction than her previous albums. Her vocals are as smooth and rich as ever, and sonically the album is as steeped in classical music and jazz as it is in folk and pop, but the wrinkle here is in the nature of the content, and that wrinkle is the gift. 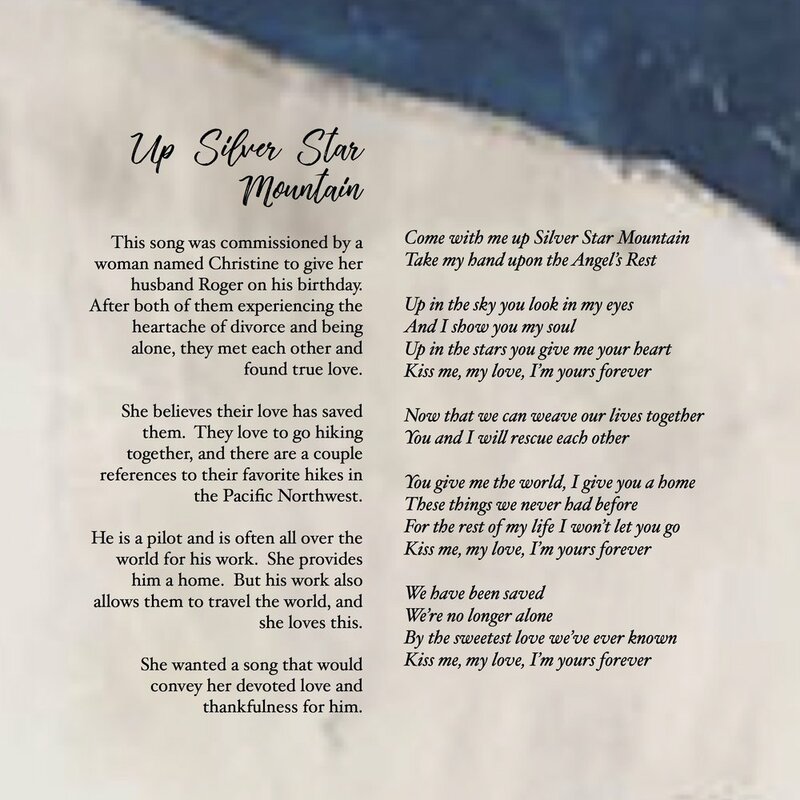 Instead of mining the depths of her life experiences, the content comes from songs she was commissioned to write for others, and songs she gave as gifts to loved ones. 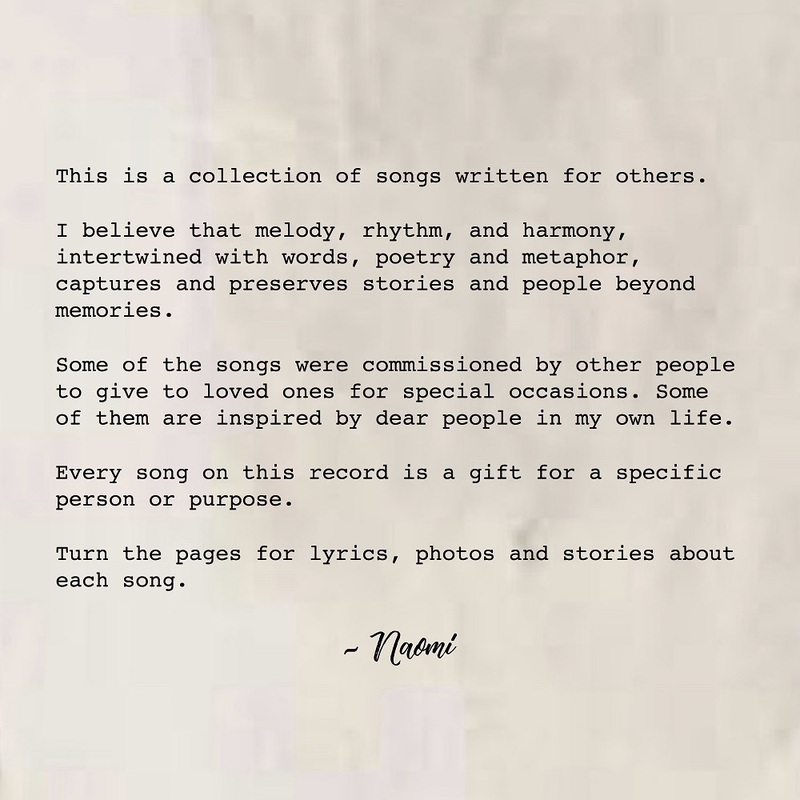 The album touches on subjects ranging from the power of love and dreams to the beauty of creation, but while there is a theme of seeking and finding the beauty in the present, some of the album’s strongest moments occur on tracks which contemplate mortality and the eternal. 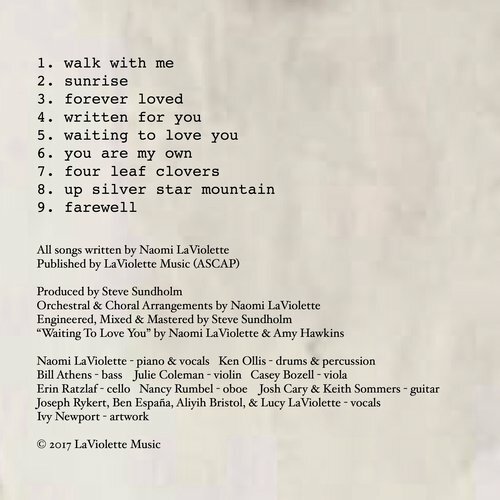 Whether it’s a song written as a celebration of life for a dearly departed relative, or an attempt to offer God genuinely unique praise, as on the album’s title track, the gift in it all is found in LaViolette’s ability to offer something moving, something profound to someone else.